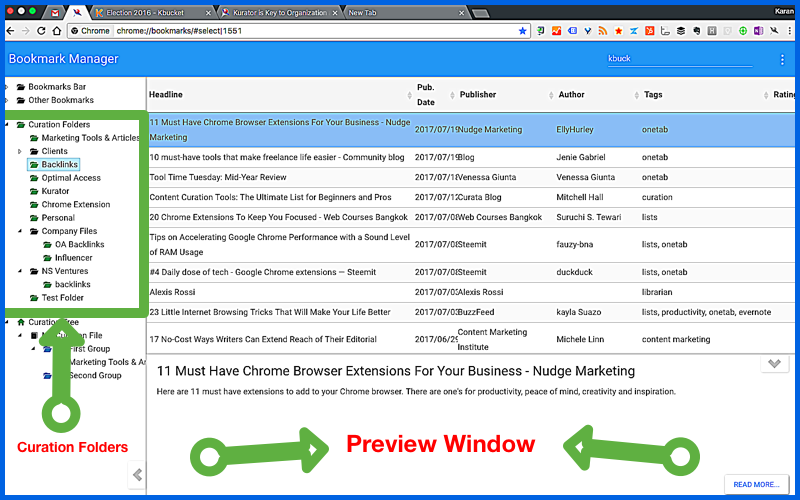 Curate your links to Improve your Porductivity with this Chrome Extension! A recent study by Infodesk shows that poorly curated and hard to find content is costing you valuable time! Even the most conservative estimates suggest that the average information user spends a minimum of two hours per week looking for information. So, stop searching and start organizing. You will be a lot more productive if you follow the age old advice: Organization is the key to success! If you look around you will notice that organization is the norm and not the exception. 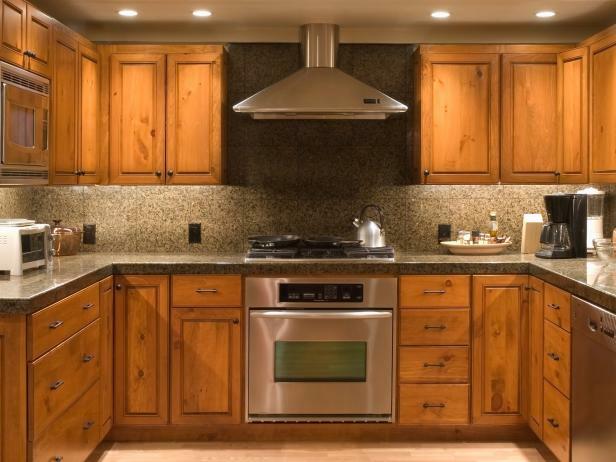 A glaring example is an everyday Kitchen. By organizing kitchen items in designated cabinets, you always know where to find what you need! Lets contrast organization with what we don’t do in everyday life! 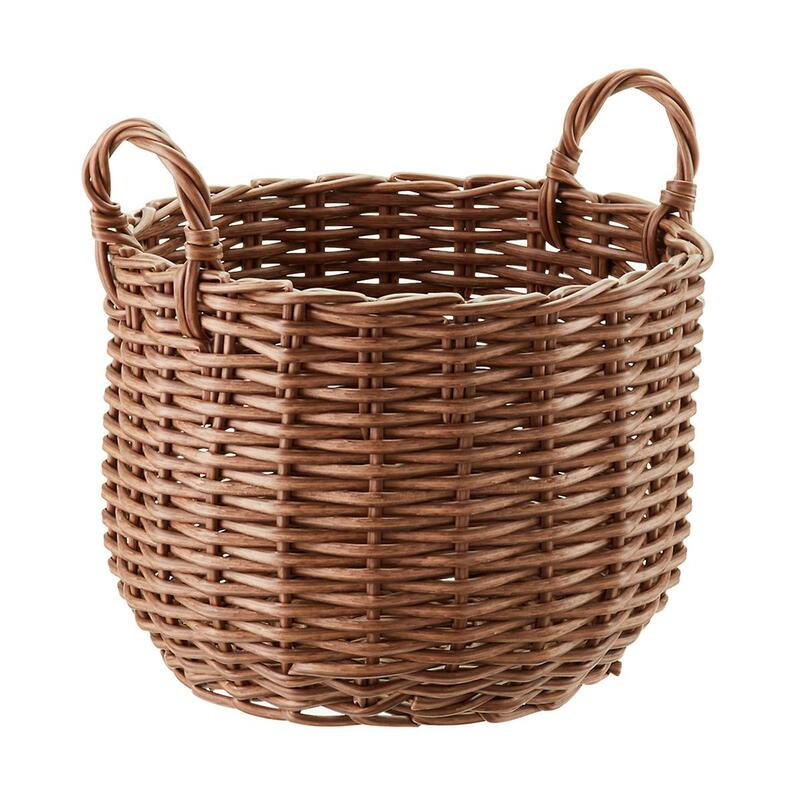 We don’t throw everything into a basket and then search for it every-time we need something! We are Conditioned to throw everything in one Basket! However in our digital life, Brands like Google and Facebook force us to do exactly that! Search every time we want to find something. This is not productive! The reason why many major platforms today force us to work this way is simple. Search is a transaction that signals our intention, and these companies business model benefits from every transaction! In other words, organizing everything around search is more beneficial to Google and Facebook, but not the best way for us to manage information overflow! Eventhough many people feel overwhelmed by this lack of organization, by now they are used to the Google way, and feel like this is the norm! Another challenge is a resistance to organization shared among many people. I’ve never really aspired to be an “organized” person. To me, the whole thing about making to-do lists and color-coding your wardrobe, and filing your emails into uber-specific folders has always seemed kind of, well, superficial. The thing that [clients] were expecting to get done is to manage the paper on their desk. The thing they weren’t expecting was to feel more power over it. In other words you feel empowered when you are organized, and that is a key to success, isn’t it! Just imagine the difference between looking for what you need in an organized room vs. looking through a pile! Regardless which professional field you’re in, access to (and accelerated growth of) online sources of ideas makes it even harder and more necessary to stay on top of trends, industry news, and more. With countless new articles, emails and social updates by the minute, it can get overwhelming keeping up with it all. Our mission at Optimal Access is to create tools that make it easy to curate, organize and share the best ideas in an easy and effective way! We developed Kurator, to help you remember and index the most interesting articles and ideas that fuel your inspiration. Kurator is a Chrome extension. Once you install Kurator, you get the Kurator icon pinned in your toolbar. Every-time you see an article you like to keep, you simply click on the pinned icon and Kurator will scrape all the information from the article and save it in a folder of your choice. Notice that you are saving, commenting and organizing in one step. 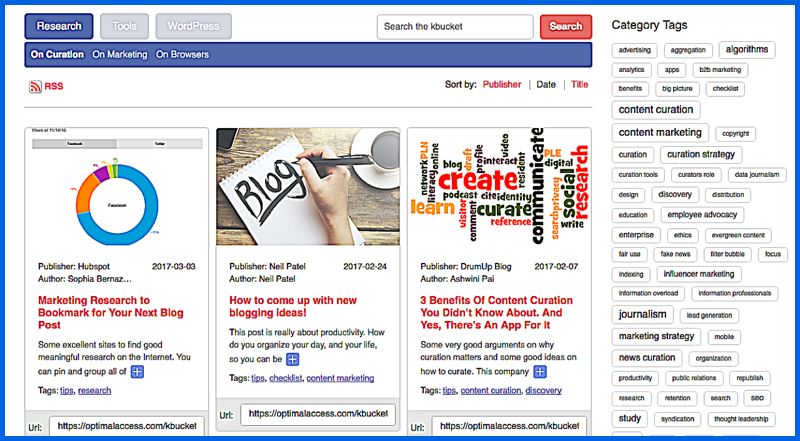 The big difference between bookmarking a link and curating the link with Kurator, is that Kurator lets you add your own comments, content tags, publisher, author and the twitter handle for the author to the article as you curate. When I don’t write it down, I forget. As simple as that. We are constantly thinking and ideas come and go like the first thought you had this morning. It’s one thing to remember that you forgot something, it is a whole other to forget to remember. Simply put, when you are researching and reading articles you often have an insight and a purpose for why you like to save that link. Kurator makes it easy for you to record your thought as they occur. This process will serve you later, when you want to use your research to execute on your idea, whether its a blog post, an idea for your product, or anything else related to your activities. Kurator stores the research in curation folders. 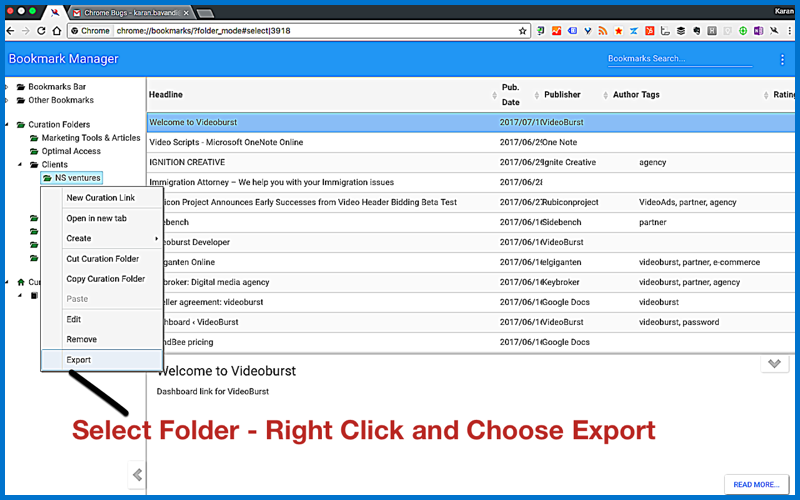 You can create as many curation folders as you wish. 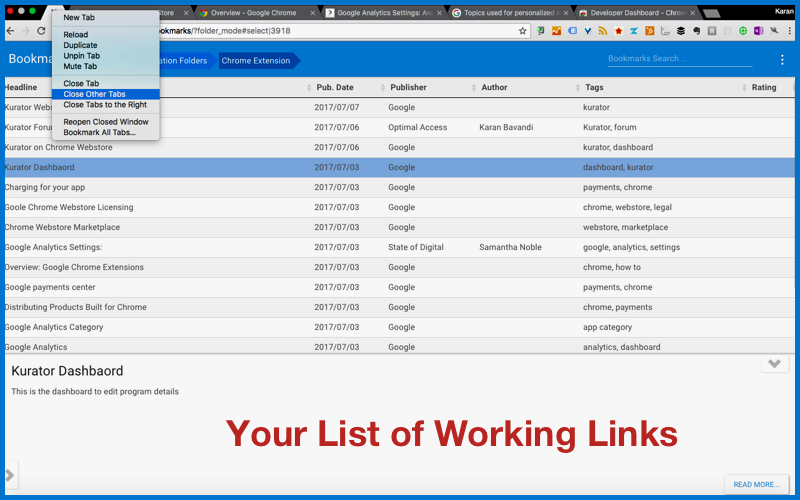 When you curate a link with Kurator, you can immediately choose which folder you want to store the link in. Tagging both Content and Context! Tagging articles should be an important part of your organizational strategy. You should consider two types of tags (index), when saving an article, micro tags and macro tags. Daniel Alemneh and Mark Phillips from University of North Texas, published a study for the Association for information Science on the topic of “Indexing Quality and Effectiveness” that offers valuable insight into what you need to consider when indexing your articles. To fully understand what an index is, it is necessary to be both micro and macro-minded. On the micro level we concern ourselves with the specific mechanics of creating and index. On the macro level we put an index in the larger context of an information retrieval system. In other words, when you index an article, use tags that both identify the content of the article (micro tag) and how that article relates to other articles in your curated library. This way when you filter, or search articles from tags you will get much more interesting and useful results. Proper tagging is also exceptionally helpful if you later decide to share your research publicly on our KBucket platform. By Curating and saving all of your important links and articles into curation folders, you can also solve the problem for information clutter. Too Many Tabs, is one of the more pressing problems we need to solve in modern browsers. It creates clutter, it slows down our computers and effects our productivity. Often we don’t close tabs because we know we might need it later–whether that’s an hour from now or days later. Kurator is an ideal tool for solving your “Too Many Tab” problem. 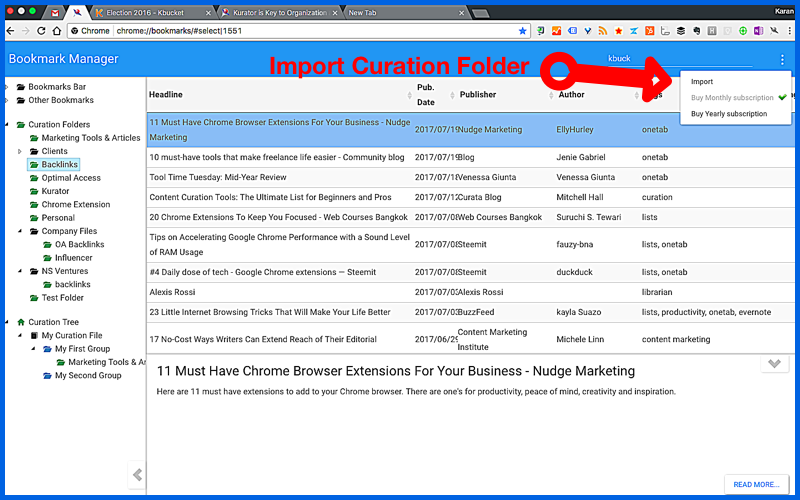 Simply curate the websites for a related project in its own curation folder and pin that folder as a tab. In this way you have all the sites you want to work with instantly accessible. You can easily close all open tabs, by right clicking on your pinned tab and choosing the option “close other tabs” – without having to worry about losing any of the pages your want to keep. Kurator let’s you share links with co-workers privately, or publish your entire research online, to build your brand, connect with influencers, and drive inbound traffic using our KBucket site, or KBucket WordPress plugin. To share links with other Kurator users, you simply share your curation folders. Simply click on a folder, or folder group and export it to a file, then send the file via email. To share your research with the world, you can publish your curated research to KBucket pages. We use “Curation Tree” to build files to export. 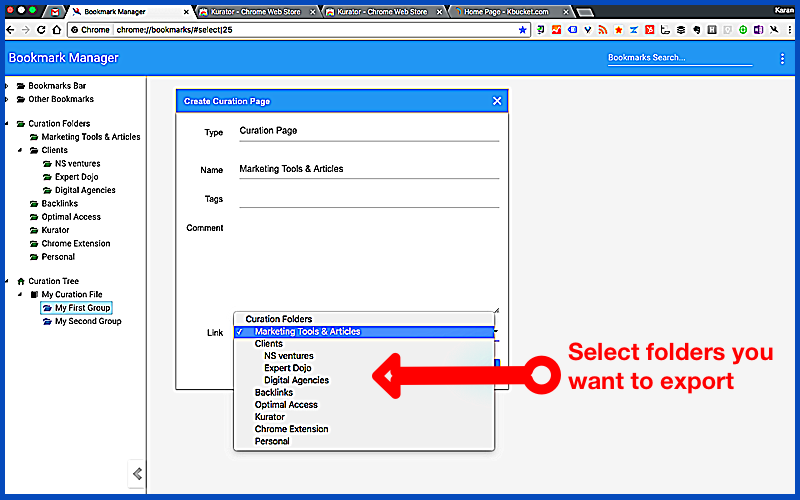 To understand how to work with the “Curation Tree”and its functions, lets take a look at the KBucket page on our website. KBucket page are organized into a top set of tabs (Groups) and a bottom set (Channels). Each Channel is a Curation folder. Once you set-up our curation files, any new link added to a curation folder, is also added to this file. To share these files you can simply register on kbucket.com for free and upload your files. If you want to share these files as part of your own website, you will need our KBucket Plugin for WordPress. To create a Curation File for export, we use the “Curation Tree” in our bookmark manager. Simply “Right Click” on Curation Tree/Create to create a file. Then Create one or more groups using the same method, and within each Group you can select one or more folders from your “Curation Folders tree”. Visit our forum for more info. Organization is a big part of productivity. Saving your thoughts along with your research will help you be more effective. Kurator offers a number of benefits that helps you do more in less time. 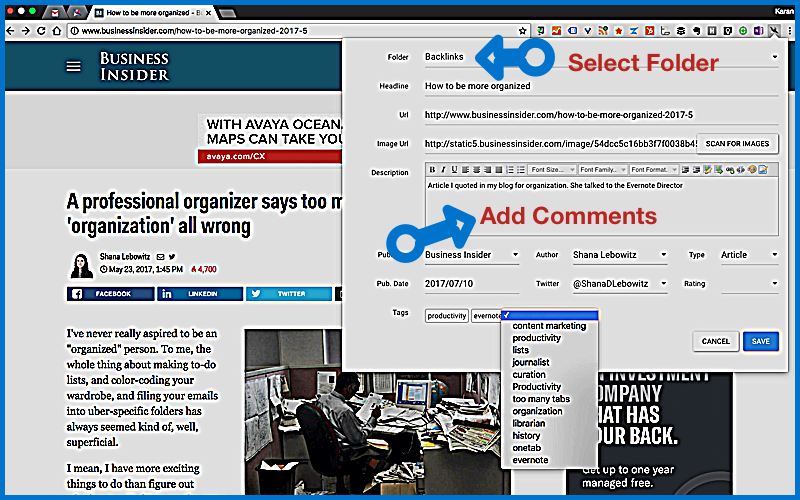 Click the link below to get Kurator extension for chrome.